James Harden continues to show why he is in the driver seat for MVP. Harden led all scorers in a 110-96 win versus the young Utah Jazz team. 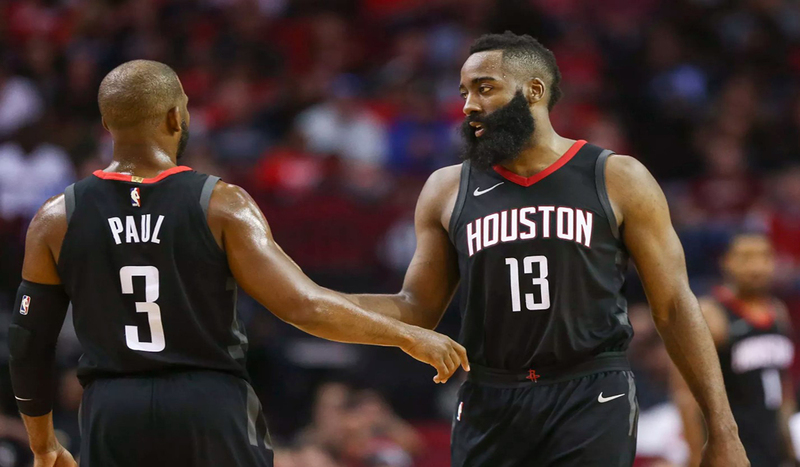 Harden finished with 41 points, seven assists and eight boards on 7-of-12 from deep, while Paul added 17 points, six assists, four rebounds and four steals at 3-of-6 from three-point range. Jazz coach Quin Synder chimed in on defending Harden. “He’s a special player,” said Synder. “It’s hard to give credit to all the things that he does. He impacts the game in so many ways. You have to try to make it harder for him in so many different facets. The Jazz are short-handed with Ricky Rubio’s hamstring injury which could have him sidelined for a week. But don’t expect Harden to be as affected by Rubio as Westbrook was during the OKC series.